Star Trek Into Darkness Review! Finally I have been able to see Star Trek Into Darkness in at the cinema. If it wasn’t just only for the fact that I am a veritable Trekkie that I wanted to see it but also to finally be able to put aside the continuous promotion of the movie that has gone on for weeks now. 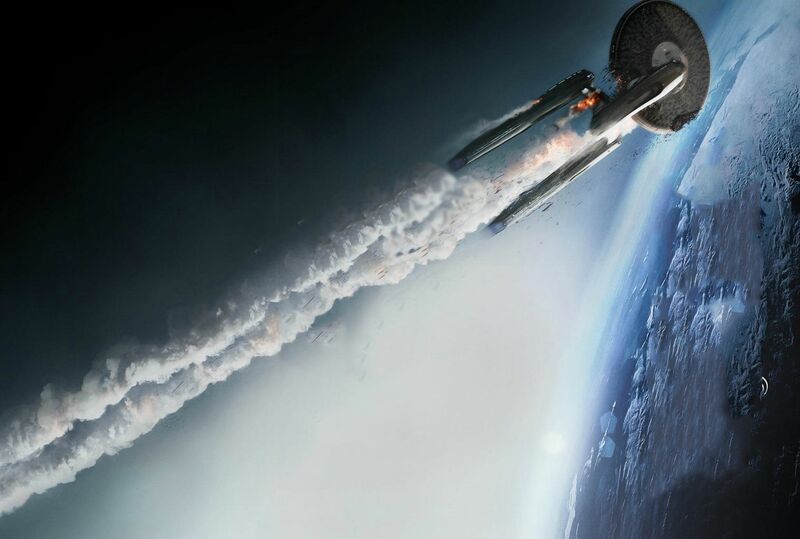 Star Trek Into Darkness is of course J.J. Abrams second Star Trek outing. It acts as a sequel to the 2009 movie that significantly raised the stakes for the franchise. Star Trek Into Darkness is a very good movie, probably one of Star Trek’s best, but it does come with strings attached. To read why and answer the question whether you should open your wallet to see it I suggest you head below. But beware, there are SPOILERS ahead. Star Trek’s strength in storytelling has always rested on dealing with current world issues in ways that confront its audience. Star Trek: The Original Series mostly picked social issues such as racism and sexuality while The Next Generation shifted to sexuality and gender issues. However, the Star Trek movies rarely choose to involve social issues but instead picked current world affairs as their background setting. The most successful Star Trek movies; Star Trek 2: The Wrath of Khan, Star Trek 4: The Voyage Home and Star Trek 6: The Undiscovered Country are excellent examples of this. Especially Star Trek 2 and 6 stand out for their plot on nuclear disarmament and the end of the cold war . So, it can hardly be surprising that Star Trek Into Darkness also has a topic related to current affairs. J.J. Abrams’s pick was terrorism. Unfortunately the audience is all too well familiar with it after more than a decade of terrorism and the recent Boston Bombings. As such it will be difficult to say whether the audience will see topic as a premise gimmick or can truly relate to the events of the movie. Despite the choice of topic, the acts of terrorism are only the background story of the first half of the movie. After which it is revealed by the villain who perpetrated them, John Harrison, that he is in fact Khan Noonien Singh (Benedict Cumberbatch) (KHAAAaaannn). He was unfrozen from his sleeping pod onboard the Botany Bay about a year before after Starfleet started aggressively expanding into the universe. Khan started making weapons for Admiral Marcus (Peter Weller) who plans to use them to curb Klingon aggression. Thus, in comes the second villain, Admiral Marcus. Unfortunately he does not make for a very convincing villain and the only onscreen gratification the audience gets is when Khan crushes his head between his hands in front of the Admiral’s daughter Carol Marcus (Alice Eve). Then for about 10 more minutes Khan is the villain as he tries to shoot down the Enterprise with the Admiral’s secret warship. Now, if your thinking that Star Trek Into Darkness has a slightly convoluted plot. Well, you would be right! It is difficult to get a sense of what the movie wants to do. Does it want to prove Khan’s acts as he tries to save his crew members from cryo-stasis or does it want to follow Admiral Marcus and his quest to make Starfleet stronger. Personally I like Khan’s storyline more, but we hardly learn much about him. In fact, you would have to see The Wrath of Khan to do that. Benedict Cumberbatch of course plays the perfect Khan, full of arrogant self-confidence yet with a sense of worldly experience that all the other characters lack. From Khan’s own words we learn what has happened to him. Sadly, that feels slightly shoe-horned into the script to answer any questions the audience might have. Khan survives the end of the movie. He is put back into cryo-stasis so we will probably see him again. So, when it comes to the central storyline of Star Trek Into Darkness I would say it lacks a sense of direction and focus. As for the other characters, it focusses mostly on Kirk and Spock, but they are hardly further developed. If anything, all the characters lack a sense of development in the movie. We see them go through the motions as though they are simply needed to be there to make this a Star Trek movie. The secondary Star Trek characters, Uhura, Bones, Chekov, Sulu and Scotty are sadly underutilized. Bones has a lot of memorable one-liners while Scotty manages to partly act as the character for the audience to relate to but it is hardly convincing. As I have said before in some articles, Star Trek belongs on TV. For a movie there is simply not enough time to drive the characters into one particular direction. And as Star Trek movies now on average take about 4 years to make we are probably only going to see 2 more before thee cast is retired. As such we either see no character development or too much in one movie! The 2009 Star Trek movie managed to do much better in that respect. Sure, one area where Star Trek Into Darkness does not disappoint are the visuals. 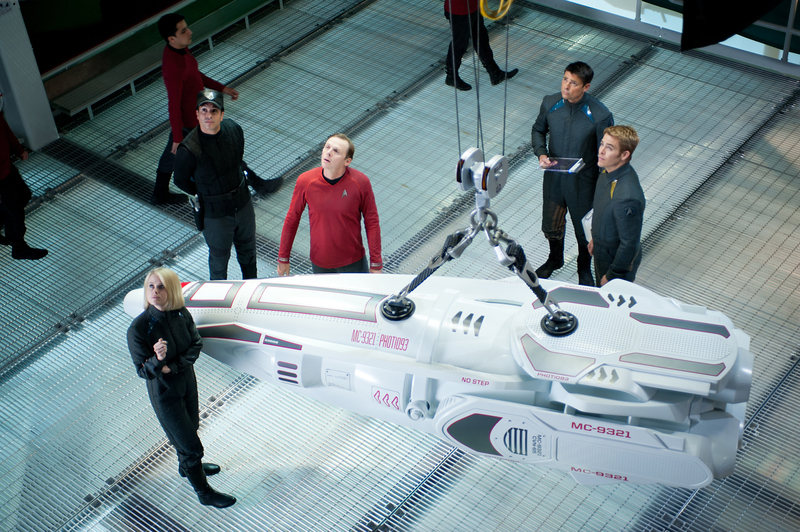 The special effects and the world of Star Trek are created convincingly and with style. The movie is set at times in cities on earth and the creative staff have taken their time to create them in a sort of 60’s futuristic style. Sadly, we do not learn much about this world and the people that inhabit them. That also reflects on the movie characters as the audience can not relate to them. Again, a Star Trek series on TV might offer the time to do that for the audience. While it is suggested that you see the movie in 3D I personally think that the scenes that make that worthwhile are just shoe-horned into the movie. 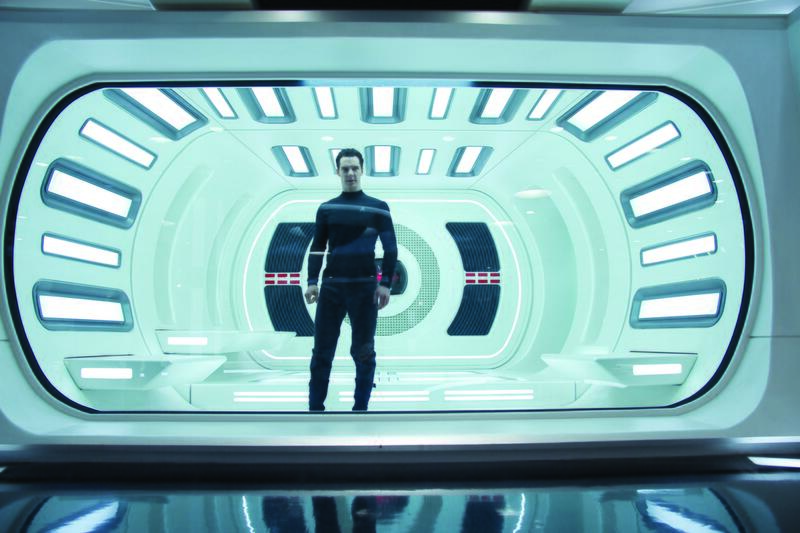 Ultimately, Star Trek Into Darkness feels something of a hollow experience. Benedict Cumberbatch is great as khan and I hope we will se more of him. However, I feel both a lack of character development and a lack of knowledge of the Star Trek Universe as a drain on the experience. I hope Star Trek will be back soon, either on TV or in cinema’s. J.J Abrams may not be back for another director’s role as he is busy with the upcoming Star Wars movie. Score; 7.8 / 10. An OK Star Trek outing, but could have been so much better if it didn’t aim so high. Below are some half dozen pictures from Star Trek Into Darkness premiere events. Riddick 3 First set photo! 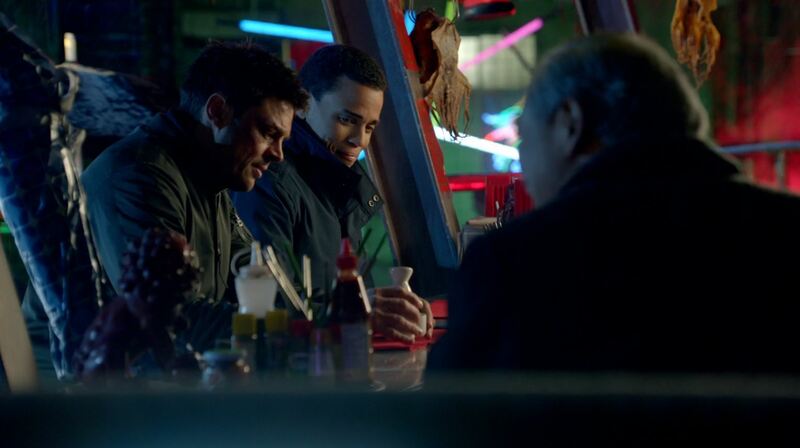 Next story Warehouse 13 S4E14 ‘The Sky’s the Limit’ Review! Previous story Iron Man 3 Review!